Let’s unite under the lights at Chanukah in the Square! These words, from the chorus of the England World Cup Song of 1982, keep popping into my head as I think about Chanukah in the Square this year. Because, this year, more than any other year, after the community has been in the news or all the wrong reasons, we can unite proudly under the lights of the Menorah in Trafalgar Square and celebrate Chanukah, on Wednesday 5th December, the 4th night of Chanukah. We are giving the chance to thousands of people to come out for the right reasons – not to protest, but to celebrate; not to wave placards, but to eat doughnuts; not to shout “enough is enough”, but to sing Jewish songs and dance to Jewish music in the middle of the UK’s capital city. Jews are commanded to place our own menorahs in a window, facing the outside world. 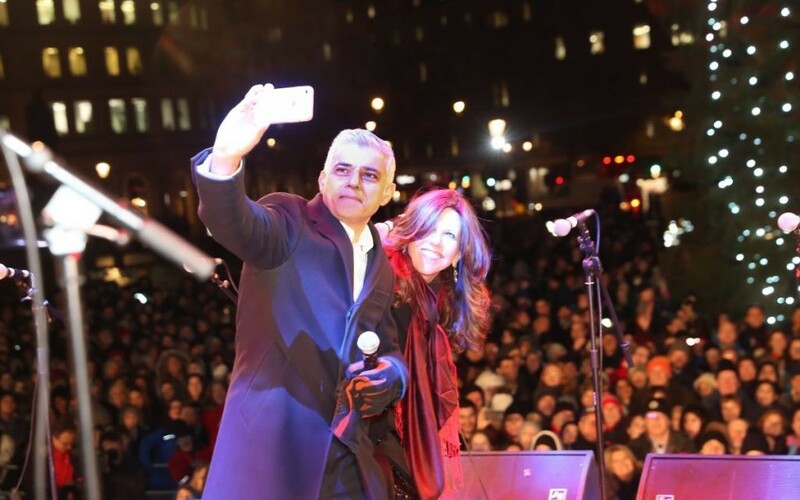 Thanks to Chabad, the London Jewish Forum and the Mayor of London, we are able to place a communal Menorah right in the heart of Central London, in Trafalgar Square. We are able to hold a ceremony to celebrate Chanukah in the centre of London’s rush hour. We will light the four candles (No Two Ronnies Jokes please) as people rush home from work. Our Chazzanim will chant the blessings in the tunes we remember from childhood as people go out to the theatre. We will sing “Moaz Tzur” in front of Londoners and tourists. We will dance, sing and eat doughnuts as London’s night begins. And we can do all of this with our head held high, in safety, with our friends, colleagues and our kehillah. I never cease to be amazed that we live in a city, in a country, which allows us to do this- to celebrate our joyous festival in one of our country’s best known places, underneath one of the UK’s foremost tourist attractions. The Chanukah Lights are a symbol against religious oppression. They symbolize religious freedom. The original Chanukah miracle saw the light burn against the forces of religious persecution. It was part of Hashem’s plan to liberate the Jewish people from the murderous tyranny of the Greeks. The Chanukah lights have burned in confrontation against all the historical persecutions over the years. Thank Hashem that we live in a country of liberty, where we are free to practise religion freely, where laws are in place to protect our religious rights, where the Prime Minister and the Mayor of our capital allow us freely to celebrate our festivals and where we can walk tall and proud as Jews. What is not to celebrate about that? So, we have gathered renowned Chazzanim to light the Menorah and beautifully sing the berachot. We have the privilege to be hosted by Rachel Creeger, one of our community’s foremost and talented comedians. We have the Mayor of London and the Chief Rabbi speaking to us. We have doughnuts, we have music from two bands including Israel’s The Solomon Brothers. From 5.30pm on Wednesday 5th December, we can be loud and proud as Jews. So, wrap up warm. Put on two pairs of socks. Come to Trafalgar Square and prepare to sing, dance, eat and unite under the Chanukah lights in our capital city.